According to the European Court of Human Rights, the Internet is “an information and communication tool particularly distinct from the printed media, especially as regards the capacity to store and transmit information. The electronic network, serving billions of users worldwide, is not and potentially will never be subject to the same regulations and control. The risk of harm posed by content and communications on the Internet to the exercise and enjoyment of human rights and freedoms, particularly the right to respect for private life….. is certainly higher than that posed by the press”. Furthermore, in the case of Ahmet Yildirim v Turkey, the European Court of Human Rights stressed that: “Internet has now become one of the principal means by which individuals exercise their right to freedom of expression and information.”  The Court also recognized that: “defamation and other types of illicit speech, including hate speech and violence-inducing language can be disseminated as never before, worldwide, in just a few seconds and in some cases stay permanently in the media ”. The European Court of Human Rights has sanctioned that the first and most important requirement of Article 10 of the European Convention on Human Rights is that the interference of any public authority with regard to the right to expression should be lawful. In order to comply with this important requirement, the interference does not simply require basis in the domestic law of the country. The law itself must correspond to some important “quality” requirements. In particular, a norm can only be considered a law only when it is designed with precision to enable citizens to regulate their behaviour. The measure of precision depends to a large extent on the content of the instrument in question, the field for which it is designed to cover, as well as the number and status of those to whom it is addressed. While the notion of predictability applies not only to the stage of behavioural implementation, but also to “formality, conditions, limitations or sanctions” that are associated with such behaviour if considered in violation of domestic law of the country. 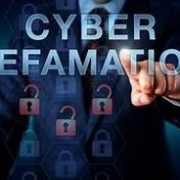 The approach to regulate the “internet defamation” issue at the same time and with the same legal act regulating audiovisual media and electronic communications is not recommended. The regulation of audiovisual media/electronic communications and the transfer of the regulation of the defamation issue to the internet domain in them is an incorrect legislative approach. Human rights do not exclude the prohibition and punishment of defamation, even in the field of the internet. Freedom of expression of the individual is also applied on the internet, as is practicable in any other mean of communication. Limitations are only permissible if they pass the three-part test: legality, legitimacy and proportionality. Interferences in freedom of expression are legitimate if: a) are provided by law; b) they pursue a lawful purpose; c) are necessary in a democratic society. As per above, AIS is of the opinion that public authorities have all the “margin of appreciation” to regulate by law the issue of defamation on the Internet. However, this issue should be regulated only by a separate law – an integral law – dedicated and covering only this issue without setting it and adding/amending other laws, whether they are related to electronic communications or not. The UK Defamation Act model can serve as a valid model for the content and legislative technique recommended in this case. The new integral law should not have in itself the purpose of punishing, but the definition of development options, specified and effective legal approaches that are appropriate for the unique features of the internet. Self-regulation should be foreseen as an effective mean of addressing hate speech, defamation, extremism, etc. and as such should be promoted. Raising awareness and educating efforts to promote everyone’s ability to be included in an autonomously, self-propelled and accountable manner on the Internet should be an incorporated element of the new integral law. In this regard, according to the international law, the state has a number of positive obligations it has to fulfill. This component is known as “internet literacy”. The language used in the texts of articles should be revised. The deadlines foreseen in the draft law are such and start for example: The request for the right of reply should be submitted to the OSHPE within 7 days from the date of the publication of the facts and information that are allegedly incorrect. If failed to comply with such deadline, the request is not presented or even when it is filed shall not be considered. The deadline in this article and in other articles should not be related to the date of publication of the information, but to the date of receiving of the information by the complainant and the evidence that he has become aware of. For example, a person may become aware that he was slandered from a portal with a one-month delay (because the person does not visit at all any portal) and not within a few days of publication, as provided by the law. The new integral law (as well as the two draft laws in consultation) should eliminate as far as possible general wording. For example, what it means “inaccurate information for a person” or “The provider of the electronic publication service should ensure that the handling of events, including issues that are subjects of public debate, is fair to all interested subjects in these issue and be presented in a true and impartial manner.” This definition is difficult to understand and even apply. If a person opens his blog and expresses his opinions, for example, to oppose the entry into the European Union of Albania then how this blogger should properly regulate his behavior to be true and impartial ??!! The online blog according to the provisions of both draft laws is included in their area of action. Other general terms used in draft laws and affecting the standards of precision requested by the European Court of Human Rights that must be reviewed are “the provider of the service of electronic publication: should not violate the dignity and fundamental human rights” or “to observe the rules of public morality“; or “not to affect public safety“, etc. etc. The new integral law and the provisions in the two draft laws in consultation should not set online the registration media, in any form, as a condition so the latter can operate in a free manner. It is understandable that registration requirements at AKEP (or any other body) may be set, for example, if these portals apply to obtain financial assistance from the state, but in any case the registration should be simple, in a transparent and politically impartial procedure, and in any case not to affect editorial independence. AIS deems that the only institution that can and should order the blocking/suspension  should be the court of the respective district court, the civil section. There is no reason, as provided in the draft-law, to add another administrative way. Moreover, the vetting procedures in the judiciary – which are in process of implementation – increase guarantees to decision-making by an independent judiciary outside of political influence and professional in this area as well. The new integral law should also contain detailed provisions for the court to ensure a fair trial. In this regard, court proceedings outside the Code of Civil Procedure have also been applied in the case of the law “On Measures against Domestic Violence”. Consequently, quick, effective, transparent procedures and in compliance with the principle of fair trial are possible to be provided in this particular integral law. The decision to block/suspend will be like any reasoned court decision where the means of appeal will be provided accordingly. The measure of temporary suspension should also be given by a reasoned decision of the court. The new integral law, at every stage of the judicial review, should provide for quick and effective adjudication and decision-making time limits. The new integral law should provide that the measure of blocking/suspending access to certain Internet sites constitutes a very serious measure of interference with freedom of expression. As such, the extent of the block should be considered by law as the ultimate extreme measure that can only be undertaken in well-specified cases by the law, justifying such measure. These measures are missing in the draft law text because they relate only to a numerical criterion of the administrative offense, which hardly passes the test of extreme of violation. The same rights as being off-line (outside the scope of the internet) rights, obligations, behavioural rules are the same when using the Internet, especially the right to express themselves and access to information. Words, conditions and circumstances for blocking/suspending access to the Internet should be well-defined in the law and not by general wording. Even in their interpretation by the court, the new law must sanction that such interpretations should clearly refer to the narrower and least restrictive concept. Any blocked/suspended website should also have the necessary information in a non-professional legal jargon about who has demanded the blocking, the reasons for the blocking decision, the court decision, the time limits when this blocking is valid, etc. As a rule, suspension/blocking of the entire website should not be permissible. Any court order for blocking/suspension must be concrete and any other lawful information, even if it is accessory on the website, should not be subject to blocking/suspension. Recommendation CM (Rec) (2011) 8 of the Committee of Ministers to Member States on the Protection and Promotion of Universality, Integrity and Internet Openness, adopted by the Committee of Ministers on 11 September 2011. Case Editorial Board of Pravoye Delo and Shtekel v Ukraine, decision of 5 May 2011, paragraph 63. Case Ahmet Yildirim v Turkey, decision of 8 December 2012. Case Lindon, Otchakovsky-Lauren, and July v France, application no. 21279/02, paragraph 41. Case Groppera Radio AG and Others v Switzerland, decision of 20 March 1990, paragraph 68. Case Kafkaris v Cyprus, application no. 21906/04, paragraph 140. 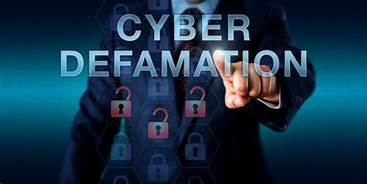 “Regulation of defamation on the Internet” is the terminology that preceded the presentation of the draft laws and afterwards accompanied the drafting and the publication phase of these two draft laws that are in public consultation. Although such measures may serve to important state interests – particularly national security or public order protection – or to protect individual rights – such as freedom, security and equality – they interfere with the freedom of expression and the right of access to information and, consequently, may have negative implications on democratic values. Freedom of expression includes the right to disseminate information or ideas that “offend, shake or disturb the state or any section of the population,” as the European Court of Human Rights states. http://ais.al/new/wp-content/uploads/th-1.jpg 184 367 admin http://ais.al/new/wp-content/uploads/aislogo1.png admin2019-01-18 15:53:102019-01-18 16:16:03AIS PROPOSALS ON THE DRAFT LAW "ON SOME ADDITIONS AND AMENDMENTS OF THE LAW "ON AUDIOVISUAL MEDIA IN THE REPUBLIC OF ALBANIA" AND LAW " ON ELECTRONIC COMMUNICATIONS IN THE REPUBLIC OF ALBANIA"